A yellow weather warning for rain has been issued in the North West by experts at the Met Office. Residents should brace themselves for the deluge which is due to set in by the end of Tuesday, October 10 and last until Wednesday afternoon. Forecasters are warning that as much as 50-80mm of rain could fall especially over high ground. A spokesman for the Met Office said: "Rain is expected to set in at the end of Tuesday, becoming heavy early on Wednesday, especially over high ground. 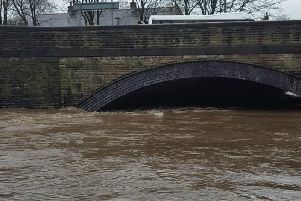 "Rain will be clearing southeastwards during the afternoon but before this happens, 50 to 80 mm may fall across hills, with perhaps 100 mm over the Cumbrian fells."